COMMENT | Today marks one month after the historic GE14. It is early days yet for the new Pakatan Harapan government with only a core minimalist cabinet in place. Yet, in the past month, there have been important messages that illustrate a commitment to a genuinely different form of governance. 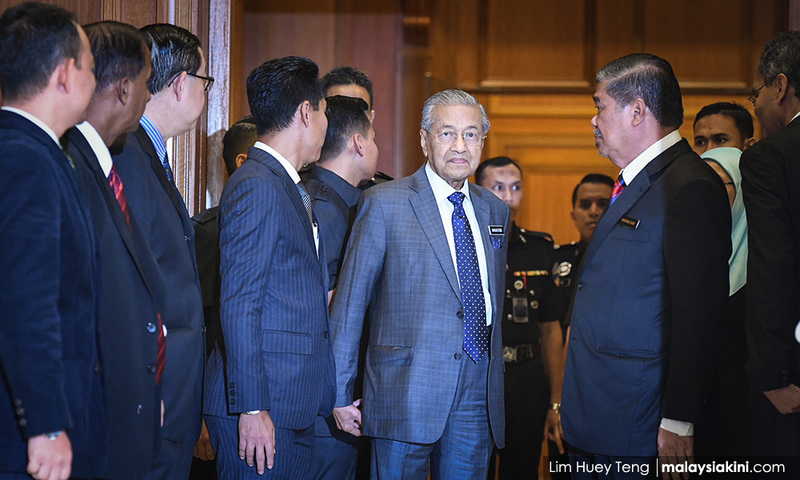 At the same time, the cautious and more constrained manner Prime Minister Dr Mahathir Mohamad has gone about making important decisions showcases the different style of coalition politics that now operates in an arguably more challenging political environment than that faced by BN in the past. Despite serious obstacles, Malaysia is embracing a ‘new politics’. To date, Harapan can point to four important areas where it has fulfilled its campaign promises. The first is the zero rating for the GST, reducing the tax burden of ordinary Malaysians. This is the first step needed to remove the tax altogether when Parliament meets in July. This policy change has been carried out with minimal impact on financial markets, thanks in part to higher oil prices and an open recognition of the need for alternative revenue sources. Second is securing the release and pardon of Harapan de facto leader Anwar Ibrahim. This took place in record time. 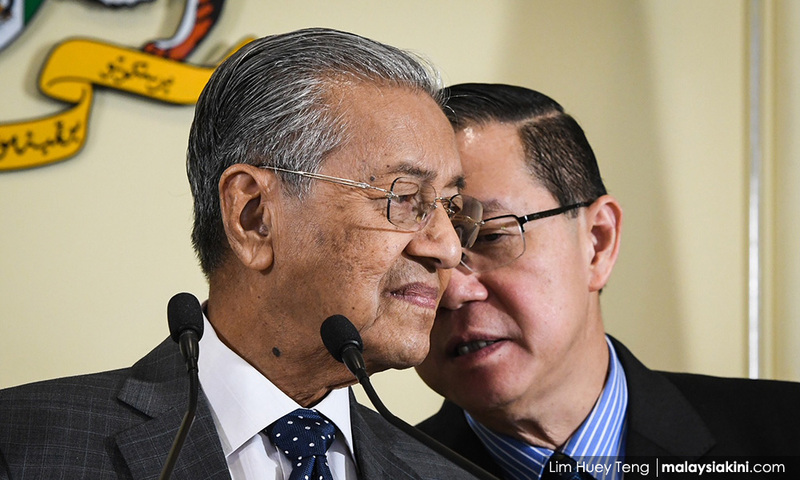 While one might interpret the speed of the release on the part of authorities as an effort to fuel division and competition within Harapan, this move on the part of Mahathir showed a strong commitment to reform and the partnership within Harapan itself. Third is the increased transparency of the new government, with many ministers regularly meeting the press and engaging the public and stakeholders. This has indicated greater responsiveness and accountability on the part of the new government from the starting gate. It is especially promising given the inward orientation for fact-finding and learning that is going on. The greater transparency has revealed some of the problems the government has inherited and can be seen as a needed corrective action to reduce expectations. Key will be whether this pattern of engagement is maintained and how the government offers solutions to the exposed problems. Fourth are the measures introduced to tackle corruption and abuse of power of the past. From the new attorney-general and police raids to the questioning sessions of a more active MACC, these measures highlight a commitment to dealing with the excesses of the previous government. 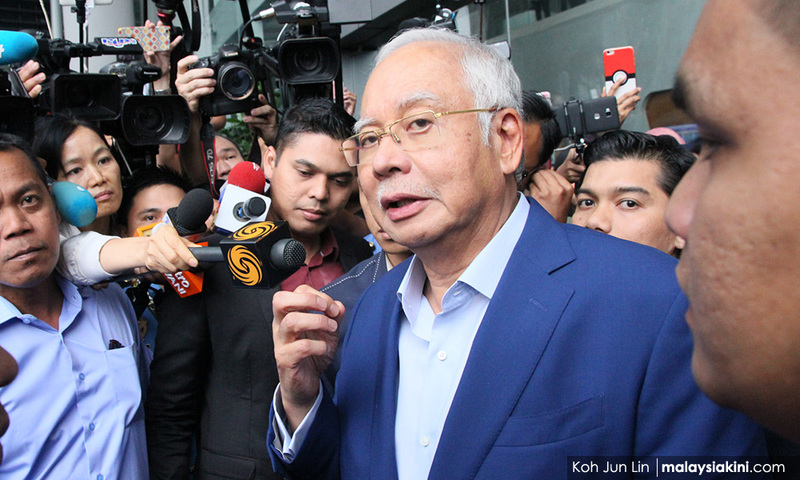 Malaysians are awaiting the arrest of Najib Razak and his wife, as revelations post GE14 a.k.a. Pavilion Residences have shown even more abuse to ordinary Malaysians than had been believed before the election. Sadly, more is likely to come as the investigations appear to show that the former prime minister betrayed not only his country but his own party as well. Harapan has combined these actions by building on four important political narratives. The first is the continued use of nationalism post-election, as the government has appealed to national pride and reached out directly to citizens. The most obvious example of this is the creation of the Tabung Harapan Malaysia – the crowd-funded initiative to address the public debt. It has reached over RM50 million in less than two weeks. This has tapped into the deep patriotism of Malaysians and has reinforced the view that the government is addressing the serious problems it inherited from the previous government. A second important narrative is that of inclusiveness. Harapan has repeatedly sent the message that it is a ‘Malaysian’ government. From remarks about a minister’s ethnic identity to the appointments across races, Harapan has aimed for greater representation. This has extended to the inclusion of perceived Islamists within the government in key appointments in education. There have simultaneously been repeated reassurances that Malay interests will be protected as the aim appears to move the discussion away from division and displacement. 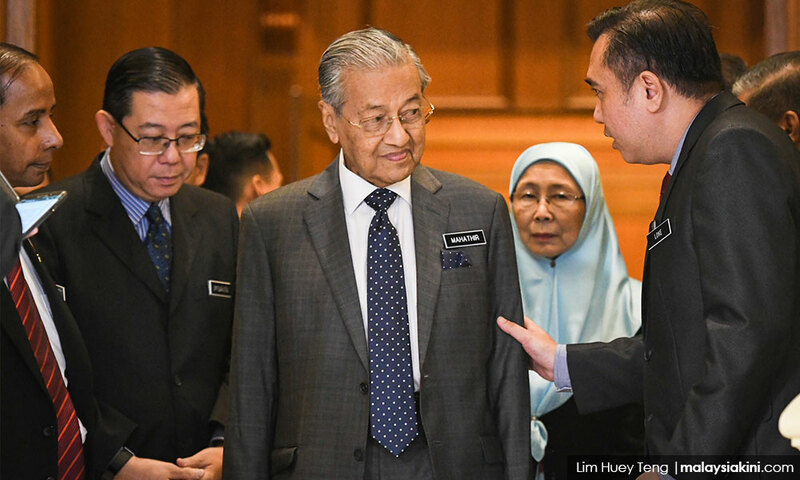 Many are awaiting the further 15 cabinet appointments, in particular with regard to East Malaysia, which to date has not adequately been included in the national government, especially given its numerical importance in the composition of the Harapan government. Building on the anti-corruption measures noted above, Harapan has repeatedly emphasised that it will operate with the rule of law. The perceived lawlessness of the previous government and the arbitrariness of decisions of the past make this a stark difference in governance. It is not easy to change practices and norms, but proper processes and procedures have been given more of a place. The rule of law is now moving away from the practice of using the law to rule. Perhaps the least touted narrative pre-GE14 is the introduction of greater austerity. Mahathir appears to be introducing more fiscally prudent practices, whether it in salaries or in international trips. This is in keeping with the revelations of serious and significant government debts, but also suggests a more measured approach to governance. There has been less patronage distributed through the use of positions so far. The message has been sent that the cuts in spending are necessary, not to cover up for lavish spending and scandals such as 1MDB but to address them. Collectively, these changes in governance speak to a different form of governance. Public expectations remain high and vary sharply, with many of these expectations in contradiction to one another. Choices and priorities are being contested, with some understandably expressing dissatisfaction with the pace of change. Unlike the BN government, Harapan is operating in an environment where it does not control the mainstream media outlets. It has yet to have a clear media strategy to deliver its messages, opting for less centralisation than the past and more diversity. It has inherited a climate of considerable political polarisation and routinised practices of disinformation. Harapan also is facing considerable resistance inside, from elites who oppose appointees to more entrenched conservative forces in the system. While it is important to acknowledge considerable goodwill in the public at large, many are suspicious and some are outright hostile and defiant inside the system as they protect their own interests and welfare. Given that this norm of self-interest has been deeply socialised, it is hard to change attitudes overnight. Many uncooperative senior officials will need to go, with the resignations to date only the tip of what is likely needed. A key challenge will involve winning needed allies and implementing policies, given that the previous government relied on consultants to a greater extent than the civil service. This will require wisdom and balance. The choices of bringing back those with experience in government, such as the former auditor-general, speaks to a recognition of the urgency of gaining control of government inside the government itself. Some of the resistance is coming from rivalries within the Harapan coalition itself, as the differences over reform, personal positioning and policy priorities have stymied cooperation and slowed decisions. On the whole, these conflicts have been kept out of the public limelight, given the public pressure on Harapan to meet the expectations of its supporters and fulfil the responsibility it has been given. The realities of Malaysia’s new politics are coalition politics never seen before. This model is based on equality, mutual respect and mutual dependence. This political model will continually need compromise and confidence in each other, not always viable given political histories. Building trust is not easy. The trust deficit for the new government is on multiple fronts. It is with the general public socialised in suspicion of government and with half of the population that did not vote for Harapan are watching it carefully. It also extends to the coalition actors themselves within Harapan that are finding their way to work together. Given the ideological and personality differences within the Harapan government, the outcomes and common narratives so far show that, even with rivalries and uncertainties, the coalition is coming together and a new form of coalition politics is emerging.